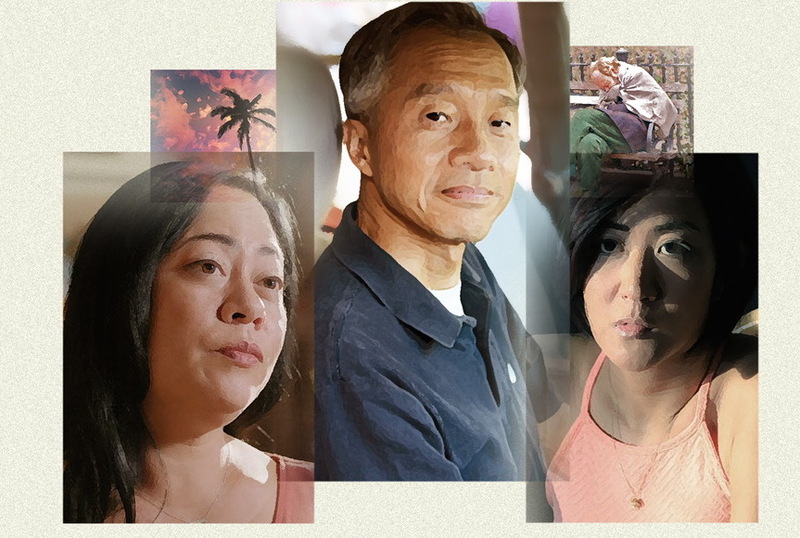 Father’s Day is a short film directed by Betty Ouyang that takes viewers into the struggle of being an Asian artist in the city of Los Angeles. In the film, Betty Ouyang and Angelita Bushey portray two Chinese-American sisters who struggle to sit through a lunch with their father (Larry Wang) to celebrate Father’s Day. Betty is a screenwriter and Angelita is an actress, and both of them are fighting hard to keep on top of the challenges life throws at them. As the family dives into an uncomfortable conversation regarding the sisters’ strained careers, issues of eviction, addiction, and much more spring up, unveiling the ugly side of Los Angeles’s glamour. It is a common stereotype that Asians are skilled in math and science and often become doctors or lawyers. Father’s Day ties in themes that break this misconception. In the film, it is said that the sisters were sent to Ivy League schools, implying that they were perhaps raised under the typical Asian standard of doing well academically. However, upon graduating, instead of becoming medically or mathematically skilled as probably expected, the sisters become artists, a route often frowned upon by Asian parents. Much of Betty and Angelita’s ambitions in Father’s Day serves as a reminder that there are many other things that Asians can strive to be. Something quite spectacular about Father’s Day is the character development that was shown within the span of 15 minutes. When we first meet Betty and Angelita’s father, we see him as a Chinese parent who had just come to drop by to visit his daughters, and the initial impression of Betty and Angelita themselves is of two bickering sisters. However, by the end of the film, we know much more about the three characters. It is evident that Betty and Angelita’s father is genuinely concerned about the future of his two daughters, and is trying to keep the family together as a single parent. It can also be seen that he is desperately trying to make amends with Betty and Angelita so that they are aware of the help that he can give them. We also figure that although the two have contrasting ideas on how to go about this, Betty and Angelita only want their father to worry less about them. Betty is a more straightforward character, while Angelita believes that only some things should be said to keep their father from further unease. In the end, however, both sisters support each other and care about their family. Father’s Day also sheds light on the darker side of the bright, Hollywood based lives that is expected of artists that live in Los Angeles. Los Angeles is known to artists as the Land of Opportunity, but Betty and Angelita show that this is not the case for everyone. On the other hand, they also prove that hard work and dedication will pay off, despite the time it may take to become successful. Father’s Day is an excellent portrayal of problems that can come up while striving to achieve one’s dreams, especially as an Asian-American. This was originally posted on The Alhambra Source.